Which Type of Center Should I Consider? What's the Withdrawal Process Like? Are There Alcohol Rehabs for Teens? Does Alcohol Abuse Treatment Work? How Can I Find Alcohol Rehab Near Me? Knowing your options, what to expect during recovery, and what kind of rehab centers are available will serve you well as you find the best alcohol recovery center. How will it fit into your lifestyle, your home life, your work? Do you need to get away and have a change of scenery, or would you prefer to be close to home and have some flexibility? One of the biggest choices you have in finding the best recovery center is deciding which type of treatment you need. Basically, there are three options available to treat alcohol abuse. These include inpatient treatment programs, outpatient treatment programs, and 12-step treatment (Alcoholics Anonymous) programs. Inpatient includes residential treatment and rehabilitation programs, is provided in centers where you live for the duration of treatment. Many residential alcohol treatment programs offer 24-hour supervised medical care while attending individual and group counseling and receiving medication. Inpatient alcohol rehab may take approximately 30, 60, or 90 days. Your treatment may take place in facilities with amenities that are relatively standard or are more extensive in terms of recreational or treatment options. Have co-existing medical or psychiatric conditions. Use or abuse other drugs such as sedatives. Have a history of other withdrawal episodes and complications (e.g., seizure). Have abused alcohol for an extended period of time. Have not responded to other types of treatment. In contrast to inpatient, where you live at the facility while receiving treatment, you visit an outpatient treatment center regularly to receive treatment. Individual psychotherapy and variations on this, such as cognitive behavioral therapy (CBT), contingency management (CM) and motivational enhancement therapy (MET). Psychosocial treatment focuses on changing behaviors and thought patterns associated with alcohol addiction. 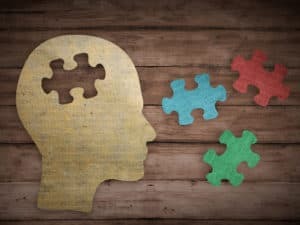 Cognitive behavior therapy works to solve current problems and change unhelpful thinking and behavior. 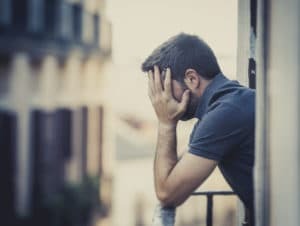 Contingency management therapy is similar, but puts more emphasis on rewarding “positive” (e.g., abstinent) behaviors and punishing the opposite. Motivational interviewing or motivational enhancement therapy involves an emphasis on motivations to pursue recovery and abstinence, and it is based on motivational interviewing. These treatments are often therapist-led and may be enhanced by peer support in group settings. Conversely, 12-step programs emphasize peer support. The most common 12-step support group for alcoholism is Alcoholics Anonymous. It is a peer support-based system that helps you through acceptance of, restitution for and (ideally) resolution of your problems related to alcohol abuse. It may be based on religion and spiritualism, though their inclusion may depend on the person in question. Insurance providers and the treatment types they will cover. Outpatient may be a good option if you’re unable to take time away from work or other responsibilities. But inpatient, though more expensive, may be a good choice if you’ve been through outpatient treatment before and relapsed, or if you’ve been drinking heavily for a long time. Consider dual diagnosis treatment if you suffer from a co-occurring condition, such as mental health issues or liver damage. Another service to look for in a treatment facility is dual diagnosis. Recovery centers that specialize in dual diagnosis will assess and treat other issues and conditions that co-occur with alcoholism. 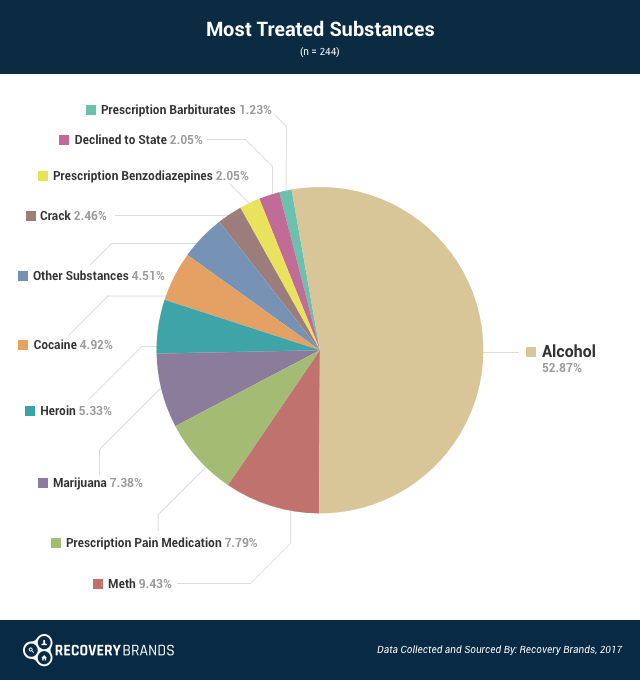 Alcohol (ethanol) is the most common substance of abuse in treatment, a 2017 survey by Recovery Brands shows. Out of all survey responses, 68.85% of people got help for an alcohol abuse problem, and nearly 53% of respondents said that alcohol was the substance that they sought the most treatment for. Fortunately, however, treatment for a drinking problem is widely accessible. you need more time to focus on your alcohol addiction. The effectiveness of treatment is often greatly enhanced by aftercare, which can include outpatient psychosocial therapy or 12-Step programs upon completion of treatment. Rehab or residential treatment may be more expensive. But it may be worth it if you need or want to avoid abuse cues (e.g., the temptation to drink or visual cues such as advertising material) until treatment is complete. Some of these alcohol rehab centers may offer services such as payment plans to manage the cost. Don’t be afraid to ask! Many insurance companies offer phone or online services for questions about treatment services. For those without insurance, facilities with public funding may be an option. These may be found on the Substance Abuse and Mental Health Administration’s (SAMHSA) Treatment Services Locator or the Recovery.org homepage. What’s the Withdrawal Process Like? It is strongly recommended that anyone who plans to stop drinking meet with a medical professional on the risk of developing severe withdrawal and the potential need for supervised detox. Medical supervision during alcohol withdrawal is crucial, in case of severe side effects such as convulsions. In addition, remember that detox is not treatment, but is rather the first stage of alcohol recovery. Agitation and/or feelings of anxiety. Changes in blood pressure and heart rate. Anxiolytics (medications that treat anxiety) such as benzodiazepines. Alpha-adrenergic agonists such as dexmedetomidine (to treat cardiovascular changes). Naltrexone, an indirect opioid-receptor antagonist (to help with cravings). Many inpatient alcohol rehabs use medication to treat alcoholism. The medications may be combined with psychosocial therapy with the goal of enhancing abstinence and recovery. However, some other forms of treatment, particularly peer support-based therapies such as 12-step programs, may not encourage or permit the use of medications. Again, any use of medication depends on the needs and preferences of the person. Any use of medication for alcohol abuse depends on your needs and preferences. When searching for alcohol rehab near you, it’s important to find a legitimate program with a well-trained staff that you feel comfortable with. You’ll also want to make sure the program offers medically supervised detox if you need to go through withdrawal and treatment for any other medical conditions. One of the ways to verify that the center offers good care is to read reviews of people who’ve received treatment there. You can search reviews for programs near you on Rehabs.com. You can also search the directory on this site for outpatient or inpatient alcohol rehabs in your area. Programs are organized by city and state. Klimas J, Tobin H, Field CA, et al. Psychosocial interventions to reduce alcohol consumption in concurrent problem alcohol and illicit drug users. Cochrane Database Syst Rev.2014;12:CD009269. Campos LM, Yoshimi NT, Simao MO, Torresan RC, Torres AR. Obsessive-compulsive symptoms among alcoholics in outpatient treatment: Prevalence, severity and correlates. Psychiatry Res.2015. Muncie HL, Jr., Yasinian Y, Oge L. Outpatient management of alcohol withdrawal syndrome. Am Fam Physician.2013;88(9):589-595. Hammond CJ, Niciu MJ, Drew S, Arias AJ. Anticonvulsants for the treatment of alcohol withdrawal syndrome and alcohol use disorders. CNS Drugs.2015;29(4):293-311. Wong A, Smithburger PL, Kane-Gill SL. Review of adjunctive dexmedetomidine in the management of severe acute alcohol withdrawal syndrome. Am J Drug Alcohol Abuse.2015:1-10. Bart G. Maintenance Medication for Opiate Addiction: The Foundation of Recovery. Journal of addictive diseases.2012;31(3):207-225. Plosker GL. Acamprosate: A Review of Its Use in Alcohol Dependence. Drugs.2015;75(11):1255-1268. Suh JJ, Pettinati HM, Kampman KM, O’Brien CP. The status of disulfiram: a half of a century later. J Clin Psychopharmacol.2006;26(3):290-302. Swendsen J, Burstein M, Case B, et al. Use and abuse of alcohol and illicit drugs in US adolescents: results of the National Comorbidity Survey-Adolescent Supplement. Arch Gen Psychiatry.2012;69(4):390-398. Rowe CL, Liddle HA. Family-based treatment development for adolescent alcohol abuse. Int J Adolesc Med Health.2006;18(1):43-51. Sussman S. A review of Alcoholics Anonymous/ Narcotics Anonymous programs for teens. Eval Health Prof.2010;33(1):26-55. Donovan DM, Ingalsbe MH, Benbow J, Daley DC. 12-Step Interventions and Mutual Support Programs for Substance Use Disorders: An Overview. Social work in public health.2013;28(0):313-332. Malcolm R, Olive MF, Lechner W. The safety of disulfiram for the treatment of alcohol and cocaine dependence in randomized clinical trials: guidance for clinical practice. Expert Opin Drug Saf.2008;7(4):459-472.